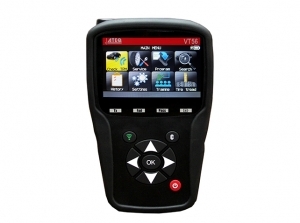 ATEQ is proud to announce the new December software release for the VT56 and VT56SE. The software update includes new OE coverage, improved programmable sensor coverage, new functionalities and corrections. New OE sensor coverage for: BMW, DS, Nissan, Vauxhall, Renault, Mercedes, Mitsubishi, Skoda and Porsche. New OBD coverage for all Cadillac car models, updated coverage for Subaru.